Home » Summer » Hibiscus confusion? Hibiscus confusion? Cue the music and let’s meet the contestants…. Our first featured Hibiscus is from and native to the Eastern US….one native tribe in the US used it to cure inflamed bladders and Thomas Jefferson grew it at Monticello. 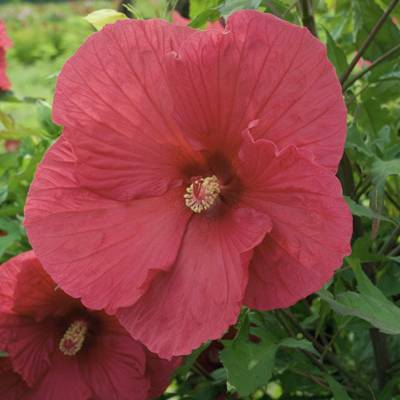 A shrub like herbaceous perennial and vigorous grower, this Hibiscus is sure to please with dinner plate sized flowers July-September. A very colorful character say hello to Hibiscus Moscheutos. 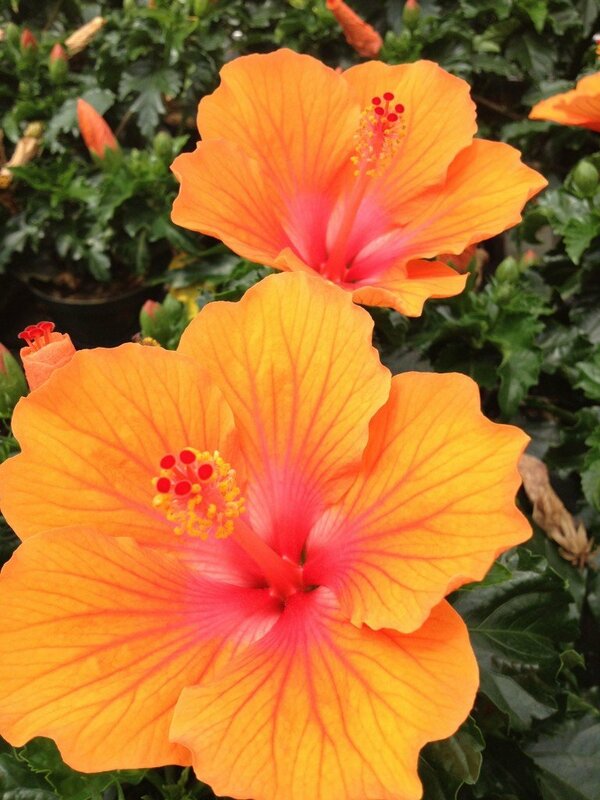 Our next featured Hibiscus hails from tropical Asia and China. Not hardy to Michigan winters this hibiscus loves to play in the sun and warm temperatures. This plant makes a bold statement when entering a room with stunning flowers….that only last for a day or two. Say hello to Rosa Sinensis. Our final featured Hibiscus is ubiquitous and all around town. A slow starter once established blooms beautifully in July and August. 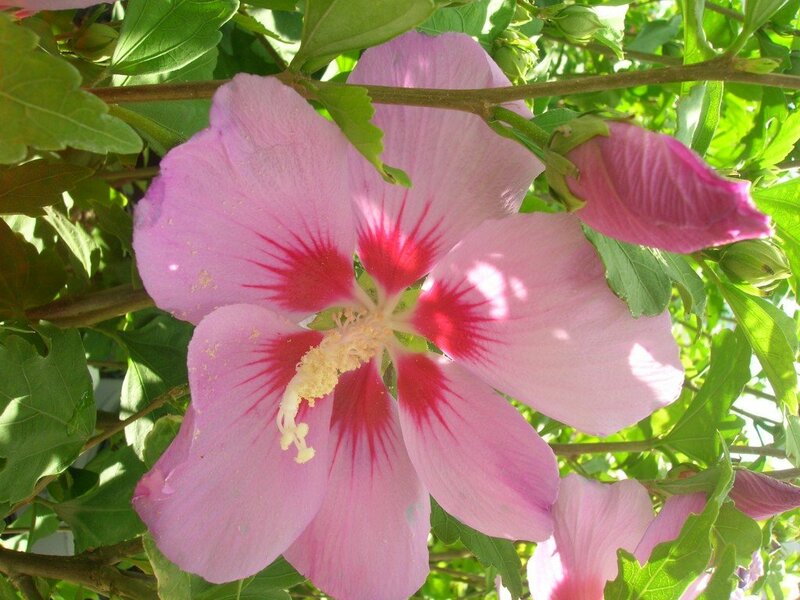 Woody and requiring discipline, this Hibiscus goes by different names like Althea, Rose of Sharon or Hibiscus making it’s personality complex. Say hello to Hibiscus syriacus.